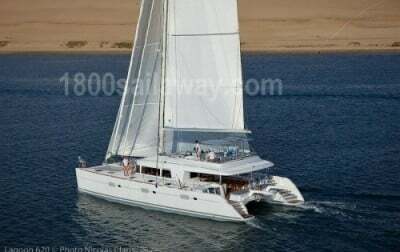 The Caribbean yacht charter sail yacht THE CURE is a CNB Lagoon 620 sail catamaran, launched in June 2009. 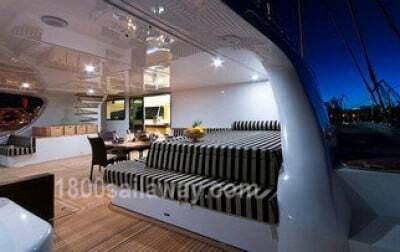 The modern interior of catamaran yacht THE CURE consists of light oak alpi and wenge woodwork with white leather sofas and huge windows. 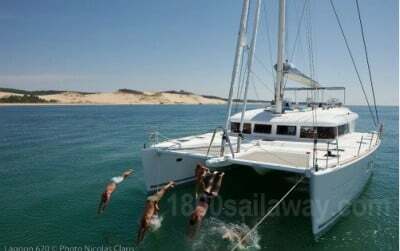 Lagoon catamaran yacht THE CURE accommodates 8 passengers in 3 double cabins plus 1 master’s suite, all with ensuite bathroom and separate shower. 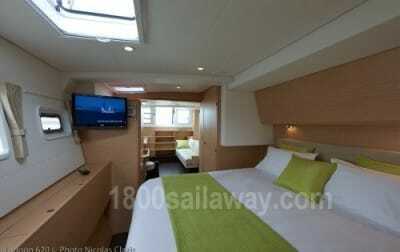 The master suite offers access from both the cockpit and from the saloon. 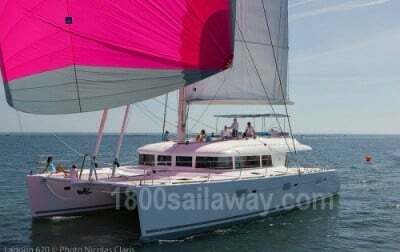 Designed by the Van Peteghem Lauriot Prévost naval architects firm, in association with the Lagoon R&D department, the Lagoon 620 yacht charter catamaran brings innovative solutions to the new cruising concept. 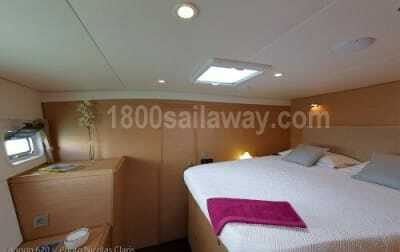 Interior design bears the Couëdel-Hugon Yacht Design signature. 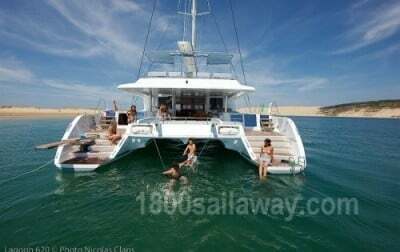 Strong points of the overall design include a welcoming and versatile flybridge where work and socializing can happily cohabitate, and a choice of living areas between cockpit, flybridge, foredeck, etc. – areas where one can retire alone or in company. 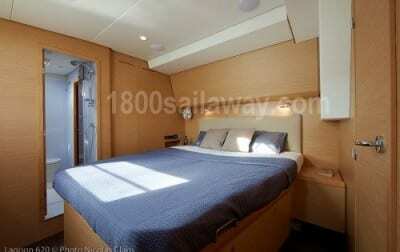 Easy access to the water comes from the perfectly-designed transom for swimming or boarding the tender. 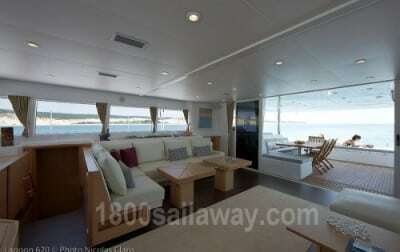 Moving around the deck is easy as well, with flush hatches, optimal step height, and wide side decks, etc. 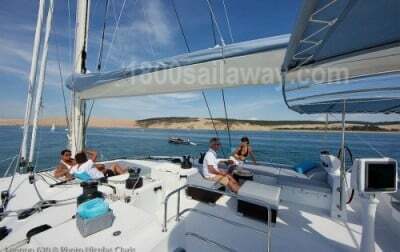 This is a large user-friendly Mediterranean yacht charter vessel in all aspects. 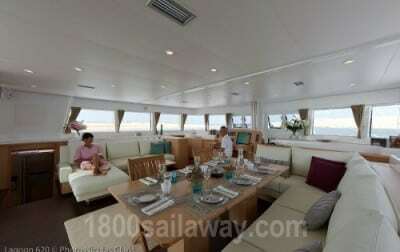 Entertainment areas include a wet bar for preparing instant snacks, relaxation and dining areas inside or outside, and facilities to adapt various living spaces according to the time of day. The interior offers a huge salon with a fashionable modern sitting area. 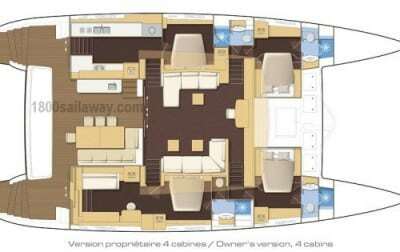 There is direct access from the galley to the salon or to the cockpit via a separate route – a practical layout at sea and for entertaining. 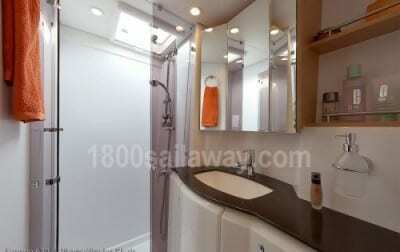 Island beds, washrooms with separate shower, ample lockers, and a separate head in owner’s cabin results in well-thoughtout and comfortable cabins. 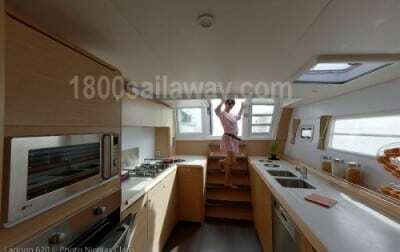 Large hull portholes, and sliding bay doors in the galley and in the aft starboard cabin bring in natural light throughout the sail yacht. 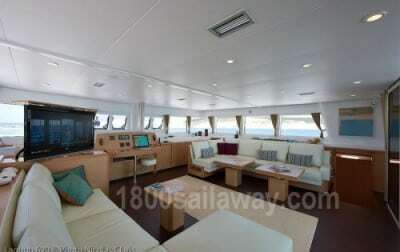 THE CURE is truly a versatile luxury yacht charter catamaran.